The conversation has shifted from trying to define what Big Data is but we’re stuck in the layers. Is Big Data fun like eating an orange full of vitamin c? Or is it more like an onion? where you cry when you try to peel it off but contrary it’s so sweet when you cook it properly? I tend to lean more towards an orange, and I will tell you why. One important area is the learning curve. We are seeing efforts taking six months+ without even having addressed any of the use cases let alone having to figure them out. There is a lot of innovation at the moment but with that comes a lot of new terminologies that also require some effort to be informed. More important is the use case. How are we going to evaluate what we need without knowing what the use cases are? A real-time data streaming scenario is much different than scenarios where the speed is not of importance as we can afford to see the results the next day. Start by identifying your vertical and finding what the demands are and who you serve as your customer. This will guide you on how to decide the Proof-of-Concept PoC(s) and therefore the use case(s). As a follow-up step, we then look at the technological assets that we will need. From there the next steps is how to launch the Proof-of-Concept (PoC) quickly. For companies that think their data is sensitive follow this rule: decide what data you can live with by having it in the cloud as you’re only testing the hypothesis at this stage and is the fastest route. Seamless integration. At this stage, you need a solution that is responsive. Why because multiple business units will come with requirements. You need to be able to accommodate such demands. I can’t stress enough the managed services approach until you can support it internally. Why because it’s a huge learning curve and the return on investment (ROI) is far better. Many fall into the loop that because they see what a super enterprise is doing, then it’s feasible to have the same approach. This approach will only yield frustration as it will take longer. At Orzota BigForce we’re working hard to accelerate this stage. Insights. At the end of the day, you are doing all this for the insights but more specifically for the predictive and the hidden potential. Most likely you have a ton of reporting going on. Reports it’s not the issue here. If you cannot get the proper reports right now, then you need some serious help. Insights can be discovered internally but also externally, so kindly remind your hardest critics that is not about how much data you have but how much is out there that you can derive these very crucial insights for your business. A good example to put this argument to bed is Social listening and therefore Sentiment Analysis. In conclusion, if you think about it, there isn’t much overlap if you start from the use case and Proof-of-Concept (PoC) approach while following the above steps. Starting small will also allow you to get buy-in and then expand. Partners may seem in the beginning that they offer similar services but at the pole position, you need to get more with less. Lastly, always keep in mind that for the majority the dynamics are different as there isn’t much Data Analysis talent out there thus with a managed services approach or a hybrid approach you can accelerate your environment and team. Finally, the orange correlation in 3 easy steps: pick, peel and consume. You can enjoy it getting all the vitamin C and its benefits. It’s no secret that analyzing data is a key initiative for all businesses. Some say we have been doing it for years. Yes, that’s true but new Big Data methodologies give us the opportunity to be more effective and discover new sources of revenue. Today, we have the capability to use technology at a very low cost that allows us to do more, understand more, reach out to more consumers while having a unified idea of what they are looking for. We can shape and mold everything that we do base on data from research to marketing and everything in between. Think about it – if you know you’re shooting only 18% from 3 point range why would you keep shooting 3 pointers? Big Data comes with two major idiosyncrasies: complexity because of the open source frameworks and not enough talent available. Don’t let open source scare you – it actually means savings! Lack of talent is also easy to overcome using big data management. Taking out the cost If you’re not a large, tech-savvy enterprise like Facebook or other giants, chances are you’re struggling with this decision. First is the technology part – including data engineering, hardware, and technology solutions. Then is the part of going and finding the right people (not the one overseeing everything, but the actual crew). Let’s take a closer look. Here are some of the roles required to build your first big data solution: software engineer, data engineer, data scientist, QA & release engineers, data architect, devops,… have you had enough? Taking out the complexity Big Data gives us the opportunity to select the tools and tailor them to the exact use cases of what we’re looking to implement, all in an economic fashion. Open source frameworks come with a learning curve but also provide great value. How can one exploit the advantages while minimizing the complexity? Big data management is the answer. Coupled with experienced services offerings that can help build out your solution, you can enjoy the benefits of deep data insights in a matter of weeks at a fraction of the cost. Show me the money To be competitive, every enterprise today must exploit their data with advanced analytics. There is also a need for a sidekick. Lastly, speed and agility are important. Big Data Management will give you that edge to get the scale of a super enterprise while not breaking the bank. In conclusion, I was inspired by articles on the complexity of Big Data and also from articles on talent for Big Data. These are major issues that can simply be avoided by looking for a Big Data Management option. This approach allows for analytics on large amounts of data, with the possibility of providing new sources of revenue. It’s not about the size of data; what matters is to solve your problems fast and economically. Since the explosion of Big Data we have early adopters and also a fan-base that is still in the evaluation phase. Everyone is familiar with the 4 V’s in Big Data: Volume, Variety, Veracity and Velocity. These are fantastic fundamentals but we need a 5v of big data. Why Do We Need the 5th V (vision) in Big Data? Vision help us to identify where to start. We have to envision the complexity and ultimately where we need to take this program. And yes folks, it is a program. By spending a minute to look into the next few months, we can identify at least internally at this stage an initial framework of action items. You have to remember that depending on the size of your company, you have to be a team player on this. We can get a better understanding of the playing field. Big Data has complexity, and this is why it’s so much fun to work in this domain. Your Vision should be centric to the goals of your company as a whole! This means that it should serve the needs of your internal and external business efforts. Let’s take an example for a B2C company. If you provide products/offerings to consumers, you will have different needs that are around how to understand your customers better, how they shop online vs. store, marketing, and predictive insights. When you are envisioning, take a minute to understand how you will get there by servicing the needs of the business requirements. One of the final elements of the Vision is to initiate the program. You have to remember that it is going to be an effort that will require external assistance and internal coordination. A major accomplishment in this area is to quickly be able to accommodate the business requirements thus providing big data driven solutions to the company users. I can’t stress enough the importance of a managed services model and here is why: first, you eliminate the complexity and second, you can deliver faster to the business users. Also, you have to remember that there is a need for nurturing and continuous modeling. Finally the team structure. In team sports, we often hear the word franchise player the person(s) that the team is built around. Whether you like the NFL or the NBA you can’t go anywhere without a good quarterback and in basketball point guard. Then you build from there wide receivers, center you get the point. In conclusion, Vision, the 5V of Big Data, would be a catalyst to create initiate the steps that get you to successfully build the process for Volume, Velocity, Variety, and Veracity. Remember that we are all Big Data analysts and that analytics in one way or another are ingrained in our human system. From a young age, we played sports, so we looked at stats and knew what to do or we knew how much time to spend to improve our game, therefore same for business. One last point though it takes a team to win the championship keep that in mind! No need to feel that we’re drowning or intimidated by data and likely there is plenty of innovation out there at the moment. So take a minute to use the 5th V (Vision) and keep moving forward to derive value from Big Data. 5 Ways to accelerate Big Data. It’s an exciting time for business. Companies have either amassed a tremendous amount of data or are increasing their efforts to ingest data available from this digital ecosystem that we’re part of to find value and new profit streams. No matter how we look at it there is a need to make sense out of all this. Time to move from spending precious time for defining Big Data and actually taking steps of doing something with the data available. Before we do this though we need vision. On an earlier post I added the 5th V for Big Data Vision. This is an integral component to be on the right path of profitability. Enter the 5 ways to getting to insights fast. More and more as we engage on this strategy there is going to be a need for data engineering. Perhaps one of the most important layers. Unfortunately there are many moving parts in Big Data and being an open source technological framework there is a high curve of learning. A good practice is to do an assessment so you have the roadmap blueprinted. This step depends on such factors as organizational structure, capabilities to ingest and process a variety of data with velocity. Chances are that in order to be efficient and to accommodate the business demands you have to move swiftly. As such you’ll need solutions. A good model is to look for managed services. It is important that you alleviate all stakeholders as much as possible. A managed services model per above will allow you to focus on how to improve the business. A lot of companies today are focusing on the reporting. This is all good but elaborated spreadsheets don’t allow you to have time to explore where the hidden revenue streams are. Time to put the thinking cap on. The paradox here is the human capability. Predictive modeling is where the action should be focused. A good rule here is that this is a continuous process so don’t treat this steps as one and done. 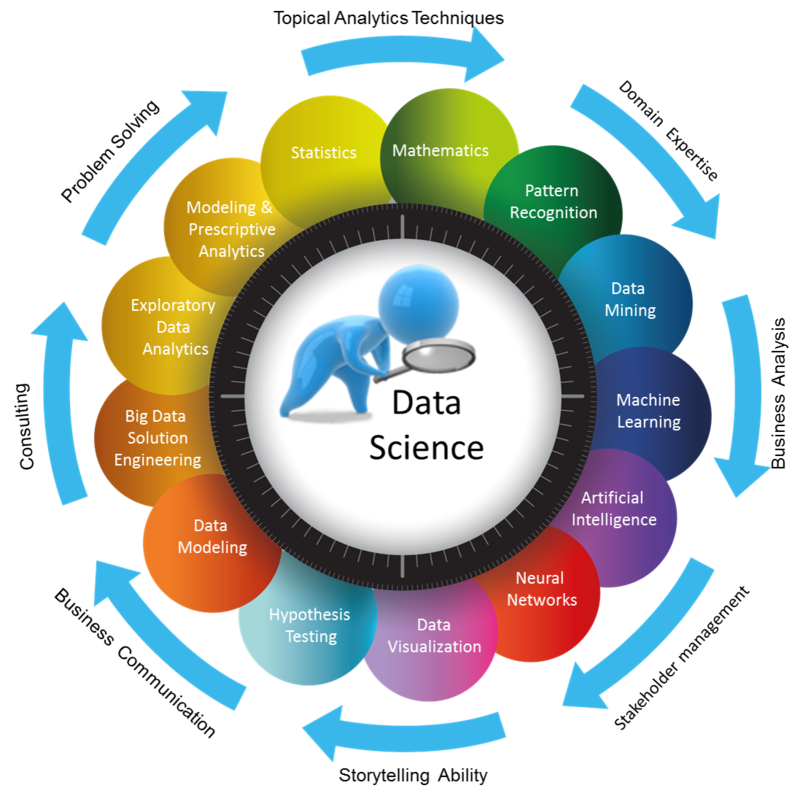 Big Data methodology can help you solve many problems. Improve product recommendations to clients, adjust content creation based on listening ingestion from social feeds, prevention in maintenance or in fighting diseases or customize customer experience, etc. If you’re starting you need to test the waters. At this point you have heard the terminology POC (Proof of Concept) and Use Case (the larger version of the problem you have to solve). A good rule start with a modest problem that can lead to the full use case solution. Revert back to the vision. You will grow and not all companies have the same capabilities. Your historical data will grow, the demand from the business units will grow, and your team will grow. At this stage what you have to keep in mind is that Big Data should be tailored to the exact needs of your organization. Stay away from one size fits all models. Choose nimble technology partners because there is a learning curve and more importantly a high degree of customization. In conclusion there is a dependency to external partners and also a high degree for teamwork. You have to remember and constantly evaluate if at the end of the day are my problems Big Data problems and that you shouldn’t do Big Data because it’s fashionable but because you have a need to extract value for your business. On my next post I would be writing about the 5th V in Big Data stay tuned.